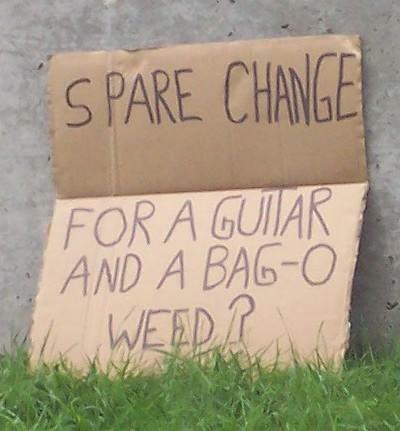 Coming off the Allen expressway at Eglinton I spotted a guy at the lights holding this sign. 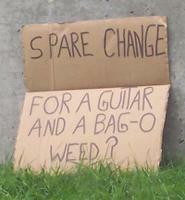 When the traffic stopped he put the sign down and went from car to car asking for change. I managed to snap a pic of his sign. At least he was being honest, and I'm not even so sure he was all that homeless but my personal opinion is that it's better to give money to organizations like the Salvation Army, or Sanctuary than people panhandling.